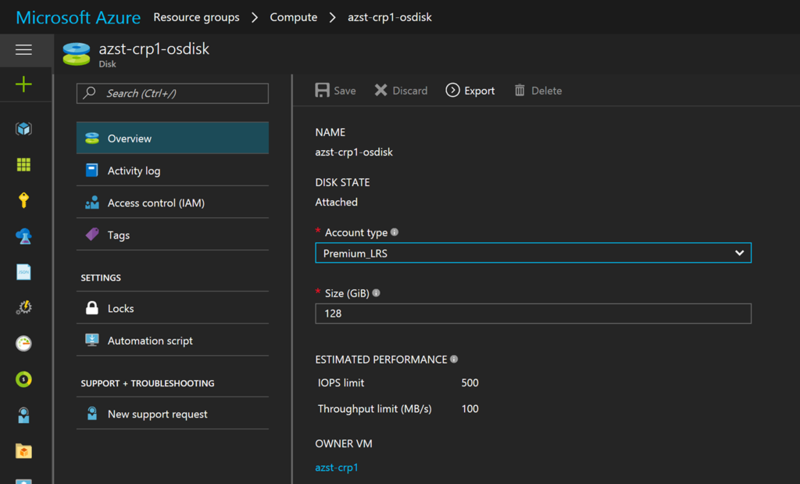 Two weeks ago, Microsoft has announced the next milestone for the Azure IaaS platform, managed disks. Why are they so important and why you should use them? These questions will be answered in this blog post and I will also provide some more details about managed disks. First of all and this is one of the major reasons you should use managed disks, is the lifting of the Azure storage account limitations. You can read more about them in one of my previous posts. 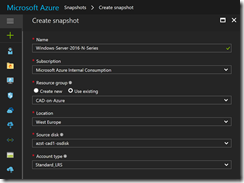 This lifting is achieved by the fact, that Azure manages the placement of the managed disks in the background to one or more storage accounts. You will not see the storage accounts anymore, only the disks which belong to the VMs. 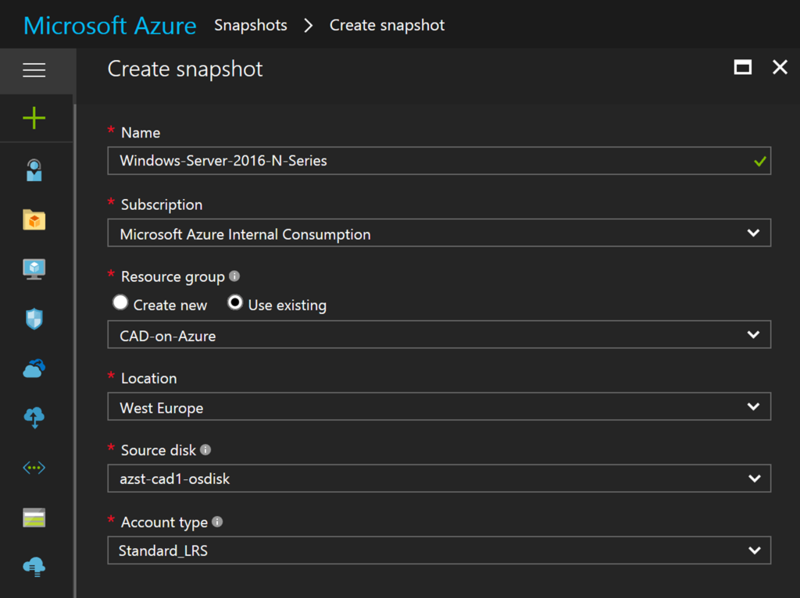 With this approach you do not have to consider and monitor the storage account limits, because Azure takes care of it. 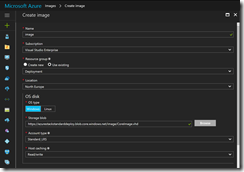 That is great and makes your life with Azure easier. Other points you really benefit from managed disks are such things like RBAC, locks and tags, you can now use with managed disks. So you can be more flexible assigning the right permissions and providing the correct tags. Unmanaged disks are only providing these capabilities on storage account level and not on disk level. Looking at the encryption options you have with managed disks, it comes down to Azure Disk Encryption. Storage Service Encryption is currently not supported with managed disks, but will be implemented in the future. One of my favorite parts with VMs running with managed disks are the capabilities to do snapshots of existing VMs and if they are generalized to create an image of them. Using managed disks for VMs has one big advantage when working with images. You do not have to copy the image to each storage account where you would like to deploy a VM in, as you are used to it with unmanaged disks. 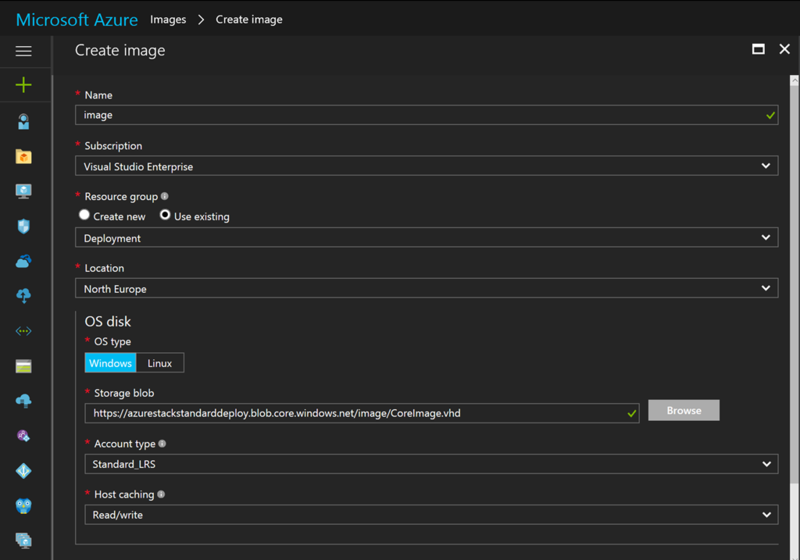 Just deploy a new VM with managed disks from a managed image that is stored in the central image repository. For more details about snapshots and images have a look at the following links. Migrating VMs from Standard to Premium or vice versa was a pain with VMs and unmanaged disks. Now it is a lot easy to get from Standard to Premium. 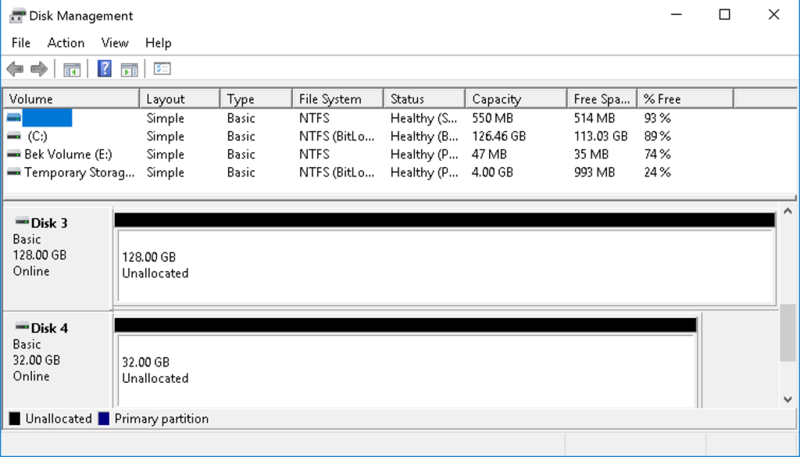 When running a VM under a VM size that supports premium storage, you can mix up the data disks. That saying, you can use premium and standard disks side by side as data disks. You can also have a mixture of disks that use standard and Premium storage. Have a look at step 8 for the statement. When it comes to storage resiliency, managed disks currently support only the storage account type Standard_LRS and Premium_LRS. If you require that VMs run with storage account types Standard_GRS or Standard_RAGRS, then you have to use VMs with umanaged disks. From my experience, I have not seen customers using VMs with GRS or RA-GRS storage accounts, but that does not mean that such customers do not exist. The last points you have to be aware of, when using managed disks, are the disk sizes and the pricing. From the pricing perspective the standard managed disks now following the pricing of premium managed disks. That means you are billed for the disk size and not for used GB per month. For standard managed disks you will be also charged for the number of storage transactions. Both types of managed disks, standard and premium, will have a charge for the managed disk snapshots and outbound data transfer. Have a look at the following table to get an overview. Need more information to make your decision on managed disks?